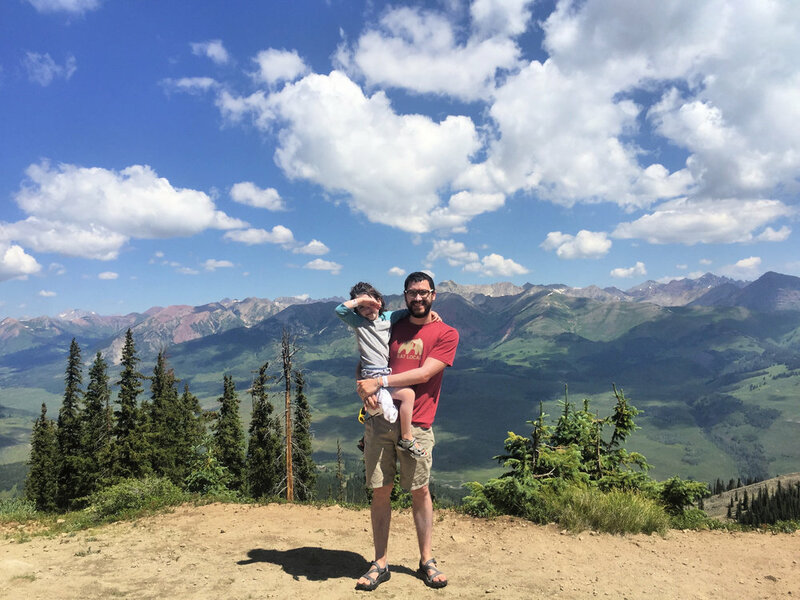 If you’ve read many of our articles on family board games - you’ve probably figured out how much we enjoy playing cooperative games with our kids. It’s still by far my favorite way to play with the family. I truly love working together with the whole family to accomplish a mission. Whether we win or lose - we experience it all together and everyone has fun. One of my very favorite cooperative games of all time is Castle Panic by Fireside Games. It’s described as a tower defense board game. To be honest, that description alone had me completely sold. I’ve always been a huge fan of tower defense video games - and I always love fantasy themes. When we first got the game I played it completely alone. It was my first time playing a board game completely solo and I thought it was absolutely phenomenal. After that I recruited our 6-year-old to play with me - and the goblins definitely destroyed our castle a few times. Castle Panic is certainly not a particularly easy game to defeat. Recently my wife has joined in and we’ve played Castle Panic as a trio. We’ve even gotten out our old Hero Quest goblin and troll figurines to spice up the display and get into the fantasy theme even more. The only problem is that as much as I love this game, our 3-year-old is completely left out. She could always be a teammate with Mom or Dad, but there’s still just a little too much going on in Castle Panic for her, and her attention span could never handle it. 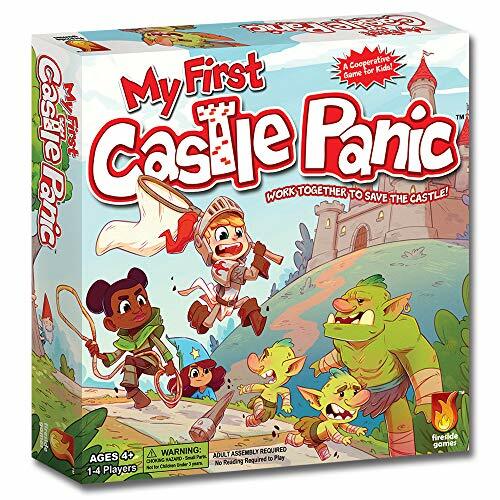 That’s why I was beyond excited to see the news that Fireside Games and Justin De Witt were coming out with My First Castle Panic. Since our main focus with board games is on games to play with our kids - I absolutely love it when somebody makes junior versions of our favorite board games. I caught a glimpse of the colorful illustrations from Cam Kendell as well, and I was completely sold. The main concept of My First Castle Panic is still the same as the original - don’t let the goblins destroy your castle. The goblins move one step closer to your castle each turn, and you have cards in your hand to get rid of them and send them to the dungeon. There are still special types of goblins as well that do things like run to the front of the pack or push all the other goblins another step forward. And there are special cards you can draw that rebuild your wall or send a goblin flying back to the draw pile. But it wouldn’t be a junior version if there weren’t some very significant differences as well. After all, this is a board game that our 3-year-old can absolutely 100% join in on. The most obvious difference is that it doesn’t take nearly as long to play, because there aren’t as many goblins in the army or as many choices to make. And, instead of coming from multiple paths all around your castle, these goblins are all coming down the same path. I can’t help but remark on the fact that the goblins in My First Castle Panic are definitely teaching our daughter some useful skills. Every single space is marked by a color (red, blue, or green) and a shape (circle, square, or triangle). If a goblin is standing on a blue triangle, and you have a card with a blue triangle on it, you can use that card to send him to the dungeon. In that way it turns out that My First Castle Panic is teaching our daughter a lot more than taking turns and cooperation - it’s helping her work on her shapes and colors as well. And she is absolutely crazy about it. Right now it is definitely the game she grabs the most often. It certainly doesn’t hurt that the very first time we played she drew a card that let her rebuild our destroyed wall. She was absolutely ecstatic about her contribution. She had the biggest smile on her face and she kept saying “I helped!”. In fact, if she’s ever in a bad mood, we can just remind her about that time she built the wall for us and she’ll cheer up. My wife remarked that she thinks there still needs to be another step between My First Castle Panic and Castle Panic now. Fireside Games provides ideas in the instruction manual for increasing the difficultly - but here’s my rough idea for My Second Castle Panic for when our daughter is 5 or so. We could buy a second copy of My First Castle Panic and place the boards side by side and mix all of the cards from the two games together. That way there are two paths for the goblins, two castles for them to destroy, and much more importance placed on playing all of your cards correctly. Even though our 6-year-old is able to play the original Castle Panic with me, the strategy and the duration of that game is always pushing his limits just a tiny bit. So he truly loves playing My First Castle Panic with us just as much as his sister. It has turned out to be a perfect family board game for us. Having a 3-year-old and a 3 year age gap between our kids always makes it a truly remarkable experience when we find a game that legitimately works for all of us. It brings out the spirit of a true family game night. Have you tried My First Castle Panic yet? What’s your favorite game your entire family can join in on? Let us know in the comments!